Crystal Light has made a sweet breakthrough in beverages with new, naturally sweetened Crystal Light Pure. It gives women a new way to add delicious flavor to their water. In fact, women who drink Crystal Light drink 20 percent more water. (Based on consumption of tap, bottled, flavored water and prepared powdered beverages from Kantar Worldpanel Beverage Panel data). 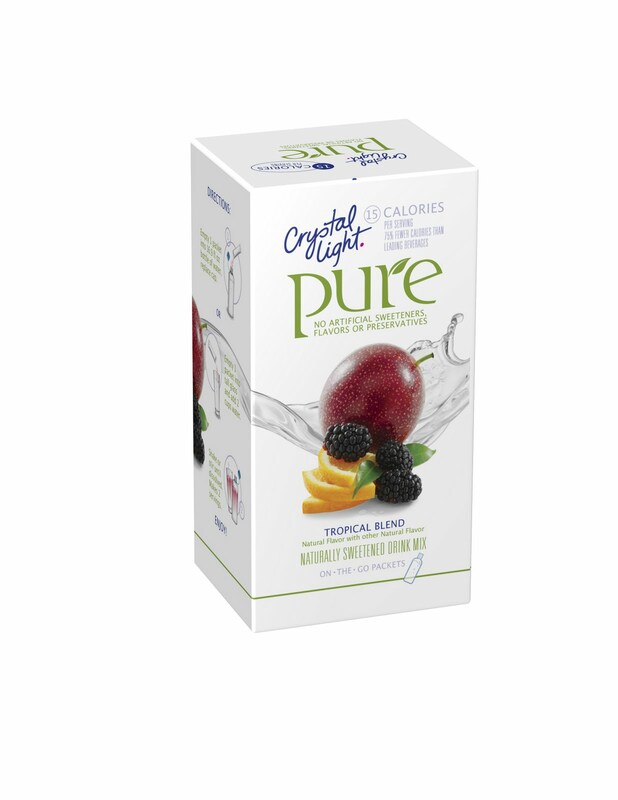 Each Crystal Light Pure packet will transform a 16.9-ounce bottle or glass of water into a light, refreshing beverage. It is available in five delicious flavors: Grape, Strawberry Kiwi, Tropical Blend, Mixed Berry and Lemonade. Two flavors (Grape and Strawberry Kiwi) contain electrolytes to help aid hydration during light physical activity when you consume one packet (two servings). 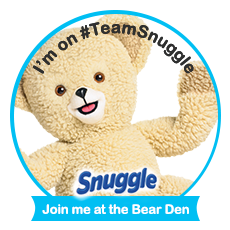 This makes it a perfect partner to add to your healthy, active lifestyle. Crystal Light Pure flavors contain 4 grams of sugar per serving. Crystal Light Pure comes in convenient On The Go packages. The taste is great and not overwhelming like some drink packettes. I have 3 kiddos and they drank them too. So that means they are really good cuz my kiddos dont drink anything new! I give them an A+ for flavor. I liked that Each Crystal Light Pure packet will transform a 16.9-ounce bottle or glass of water into a light, refreshing beverage. Its so easy the kiddos can make it fast and easy on the way out he door to go play and I dont have to worry about what they are drinking away from home when they take it with them! Crystal Light Pure comes in convenient On The Go packages! The packages fit easily in your pocket or purse! I will be buying some more Crystal Light Pure drink packages when my samples run out. disclosure: I received a case of grape Crystal Light Pure drink mix in exchange for my spreading the word about Crystal Light. I am working with One2One Network and Crystal Light Pure, and that all opinions are your own. Thanks One2One and Crystal Light!